Inspiring video production to help grow your online presence. We offer a full range of video services which benefit from the experience, creativity, and technical expertise of our team of professionals. We look forward to helping you fulfill your business’s marketing needs. Working with Maksim was a great experience, he is a very talented dancer and incredibly strong athlete. I feel a great appreciation for his athleticism and his professionalism. It's been a treat to work with so many talented athletes in my career! I was Director of Photography on this project, I enjoyed seeing up close how the city of San Jose is working with technology. My favorite kids bikes are Cleary Bikes! I had the great privilege to film many videos for Cleary Bikes and very impressed with our featured rider Julian. He rode well and is great on a bike. Jax can run! We were lucky to shoot in some outrageously beautiful locations and we had Jax running for two days straight. I think she logged 20 miles keeping track with her GPS watch... I've never seen anyone with so much energy! If you ever make it to Park City, Utah or Hood River, OR check out herSTOKED Roasters + Coffeehouse. For over 30 years Rod has produced and directed commercials, documentaries, and corporate films, focusing primarily on action sports, health and lifestyle. Rod’s ski career took off in his early teens and he found himself alongside amazing creatives such as Warren Miller while being filmed for Deep and Steep. This moment had a lasting impact on the direction his life was going to take. The realization that he could combine his love of photography with his love of the outdoors. 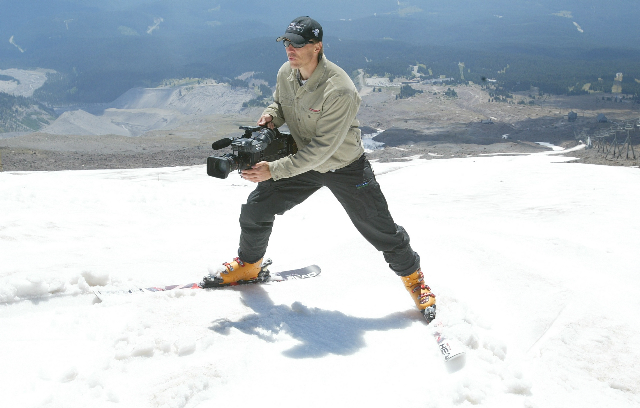 Rod has the ability to shoot in extreme conditions while keeping up with the most active of athletes. The list of projects and clients Rod has produced video for is long and distinguished including, but not limited to, Columbia Sportswear, CNN Travel Network, Hewlett Packard, Climate Central, LivOn Labs, Red Bull, Nike and Avex.